The SEC is set to make final decisions on nine proposed bitcoin exchange-traded fund (ETF) in the next two months. 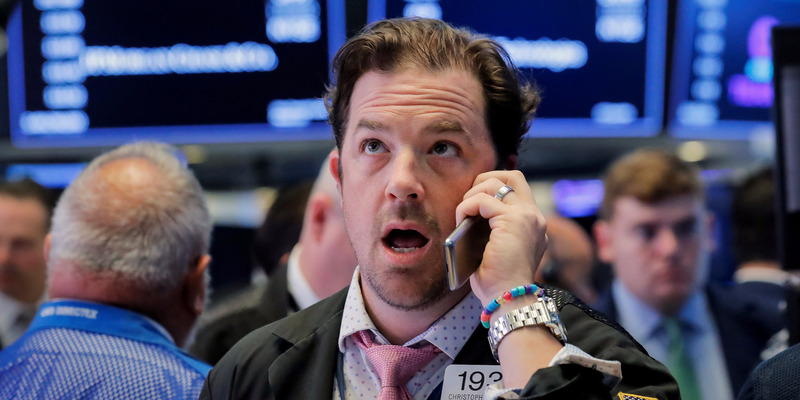 Stocks were mixed Wednesday despite a recent wave of upbeat corporate earnings as a new round of tariffs between the US and China dragged energy companies lower. The dollar and Treasury yields fell. Another $16 billion worth of US exports to China — including oil products and cars — will be subject to a 25% tax. After the Trump administration followed through with a 25% tariff on an additional $16 billion of Chinese goods, Beijing retaliated in kind. The latest tariffs, which bring the running total of targeted goods to $50 billion for both China and the US, are set to take effect August 23. Washington rolled out punitive sanctions against Moscow for the poisoning of ex-spy Sergei Skripal and his daughter in March. The measures came amid pressure from Congress and months after the UK issued sanctions penalizing the Kremlin for the poisoning, which took place on British soil. Saudi Arabia's central bank ordered its fund managers to dump Canadian bonds, stocks and cash. The move came after Canada's foreign ministry criticized Saudi Arabia for its arrests of prominent human-rights activists and called for their release. Saudi Arabia's state airline is also set to suspend flights to and from Toronto Pearson International beginning next week. Earnings season rolls on. 21st Century Fox and Roku report after the bell — follow Business Insider here for live updates. The US reports monthly wholesale prices. Viacom, Tronc and Dropbox report earnings. The Securities and Exchange Commission made an inquiry into Tesla about whether one of Elon Musk's tweets regarding the possibility of taking the company private was truthful, The Wall Street Journal reports. According to the publication, the SEC is also looking into why Musk's first statement about the potential to take Tesla private was made on Twitter instead of in a regulatory filing. The agency also asked the company if it believes Musk's tweet follows its rules about protecting investors, the Journal reports. "Am considering taking Tesla private at $420. 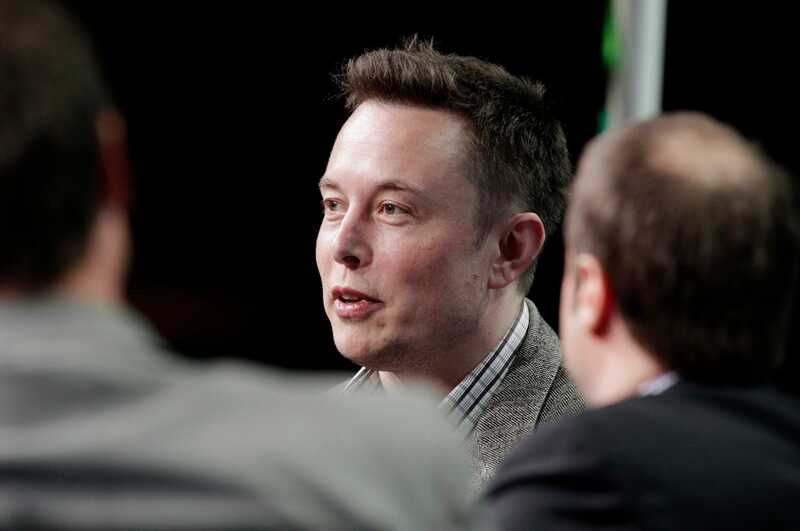 Funding secured," Musk first said on Tuesday via Twitter before issuing a formal statement on the company's website. The SEC declined Business Insider's request for comment and Tesla did not immediately respond to a request for comment. According to the publication, the SEC is also looking into why Musk's first statement about the potential to take Tesla private was made on Twitter instead of in a regulatory filing. The agency also asked the company if it believes Musk's tweet follows its rules about protecting investors, the Journal reports. No details about funding have been disclosed, though. And according to Musk's statement, no final decision has been made. And that has some experts raising an eyebrow. James Rosener, a partner at the law firm Pepper Hamilton, told Business Insider that Twitter was not the right medium for a securities disclosure since the platform's 280-character limit prevented Musk from disclosing enough information relevant to investors — including the structure of the deal, its tax impact, and the amount of debt it would require — to ensure he's not misleading them. According to Rosener, Musk's tweet likely ran afoul of the SEC's anti-fraud rules. "There's definitely material omissions," he said. "Clearly, it was not what any lawyer with any experience in this kind of stuff would advise to put out." David Whiston, an equity strategist at Morningstar who covers the US auto industry, said he was confused by Musk's tweets, which he said indicated Musk had both the funding and shareholder votes necessary to take the company private. "I'm still trying to understand why he even went public like this, because I don't see a point in going public to say you are considering going private unless you're trying to get, perhaps, the price higher than $420 a share, or you're just really eager to hurt the short-sellers. Otherwise, why wouldn't you just wait until you're definitely doing a deal to say something," he said. Tesla's board did release a statement on Wednesday morning, but it was very brief and offered few details besides that Musk met with the board last week to bring up the possibility of going private. Musk said via Twitter on Tuesday that the deal was contingent on a shareholder vote, but that "investor support was confirmed." Tesla has been public since 2010, but Musk has said he would like to take Tesla private in the past. If a deal doesn't go through, Musk will have to explain, in detail, why he expressed confidence on Twitter, Whiston said. Elon Musk went rogue on Twitter Tuesday saying that he was considering taking Tesla private for $420 per share and that he had "funding secured." James Rosener, a partner at the law firm Pepper Hamilton, said Twitter was not the right medium for a securities disclosure since the platform's 280-character limit prevented Musk from disclosing enough information relevant to investors — including the structure of the deal, its tax impact, and the amount of debt it would require — to ensure he's not misleading them. According to Rosener, Musk's tweet likely ran afoul of the SEC's anti-fraud rules. 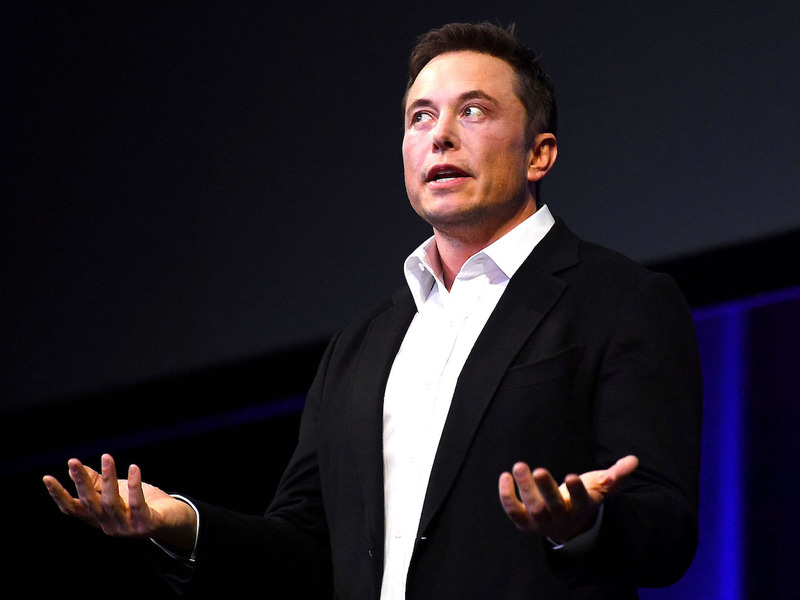 David Whiston, an equity strategist at Morningstar who covers the US auto industry, told Business Insider he was confused by Musk's tweets, which he said indicated Musk had both the funding and shareholder votes necessary to take the company private. Tesla's board did release a statement on Wednesday morning, but it was also very brief and offered few details besides that Musk met with the board last week to bring up the possibility of going private. Musk said via Twitter on Tuesday that the deal was contingent on a shareholder vote, but that "investor support was confirmed." "He thinks going private is the best path forward. He's saying he's got the money and he's saying he's got the votes. So, again, it begs the question: What are you waiting for? Is the board not on board with this? Or is he trying to get more money? Or was he just throwing it out there to gauge a reaction. Or was he just very interested in hurting the short-sellers as quickly as he could?" Whiston said. "The latter doesn't make sense to me because you can hurt the short-sellers once you announce you're going private anyway." "Otherwise, it could look like you're manipulating the stock price to hurt short-sellers." Besides raising questions about stock manipulation, some experts are also questioning whether going public is actually in the company's best interest. 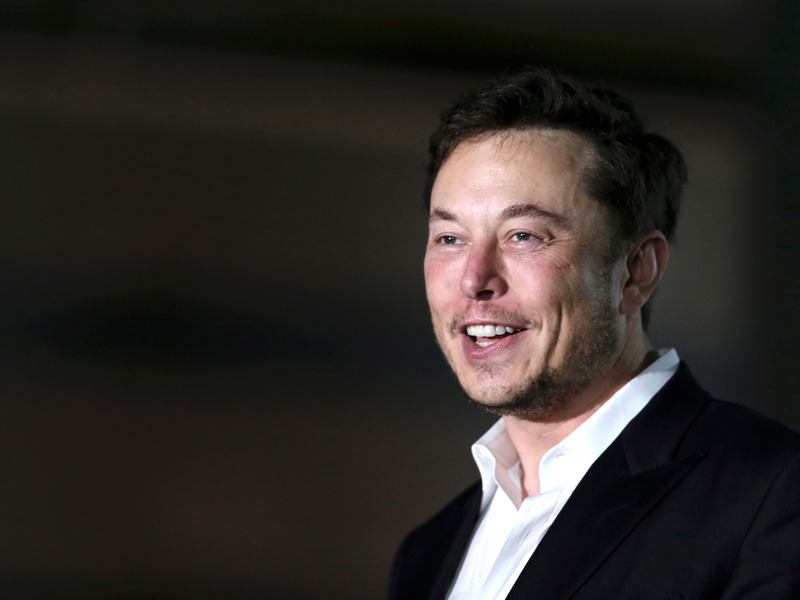 Brauer said he understands why Elon Musk would want to go private, but said that better execution on vehicle production could have improved the company's financial performance and reduced the amount of scrutiny it faced from shareholders and analysts. "If there was clear movement toward costs not far outstripping revenue or income ... it would drastically change the conversation," he said. While a company doesn't need to be publicly-funded to be successful, companies with ambitions on the scale of Tesla's tend to use public markets to meet their financing needs, Brauer said. "I look around at most of the other hugely successful companies, and they're almost all public." "I think it's mostly a good idea for Tesla. There's a lot of advantages to going private if you feel like your behavior is being altered or affected by demands of Wall Street," he said. He cited the company's publicly-stated goal of making 5,000 Model 3 sedans in one week, a target it missed on multiple occasions but achieved at the end of June, as an example of how relying on public funding misaligned Tesla's priorities. The company would have been better off making a smaller number of cars and focusing on quality control, he said. It's not getting any easier for stock pickers to hold on to their clients. According to Moody's, investors have pulled cash from actively managed equity mutual funds in the US at the fastest year-to-date pace on record. The funds lost $129.11 billion of investor dollars from January to July, up from $99.88 billion a year earlier, data compiled by the Investment Company Institute and cited by Moody's show. The flight of money away from managers who meticulously pick stocks and to exchange-traded funds is happening a bit faster than Moody's had forecast. The market share of passive investments last year was nearly 35%, more than the credit-rating agency's estimate of 34%. Bloomberg reported that Musk and Son failed to reach an agreement over the structure of the company, citing sources. Tesla was trading around $300 per share in April 2017 when the talks reportedly fell through. The talks are no longer underway, Bloomberg said. 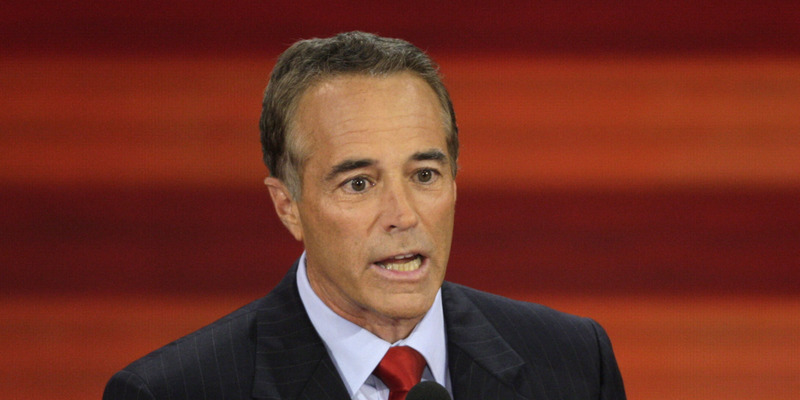 Rep. Chris Collins, a prominent backer of President Donald Trump in Congress, has been indicted on allegations of insider trading, along with his son and his son's fiancée's father. Collins is on the board of an Australian pharmaceutical company. The US Securities and Exchange Commission alleges that he tipped his son about a failed clinical trial and that the son and associates saved $750,000 by trading on the tip. On June 22, 2017, Collins learned that Innate's main drug had failed clinical trials, a grave outcome for Innate's financial condition. Over the following four days, Cameron Collins and several other associates of the Collinses proceeded to liquidate their positions in Innate before the public announcement of the drug failure on June 26, after which the stock fell 92%. They saved approximately $750,000 by selling before the announcement. Innate is not an especially large company. 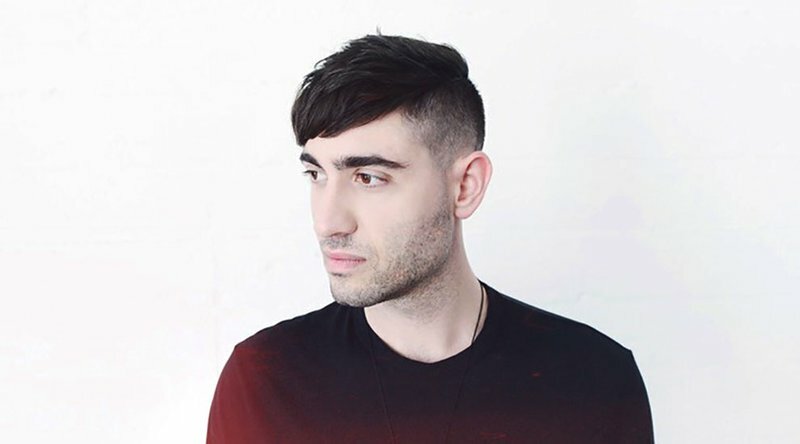 As a result, per the SEC: "The sales by Cameron Collins, his girlfriend, and her parents, including Stephen Zarsky, made up more than 53% of the stock's trading volume [on June 23] and exceeded Innate's 15-day average trading volume by more than 1,454%." Perhaps it is sometimes possible to trade on insider information and have those trades go unnoticed amid a sea of non-insider trades. But if the nonpublic information you're trading on is likely to tank the stock price by more than 90%, and your trades are going to make up about 15 times the stock's typical daily trading volume, and your close associate sits on the company's board of directors, it is probably not best to assume your trades will get lost in the shuffle. Was it because the trading wasn't on his own account and he thought the SEC wouldn't be able to draw a link between him and [checks notes] his son — even though Collins was already the focus of a congressional ethics investigation related to Innate? Collins' public defense against these charges has focused on a fact prosecutors do not dispute: Even as his associates were selling, he did not liquidate his own, much larger stake in Innate. That might seem like a tiny bit of prudence in a sea of recklessness — among other matters, Collins would have had to publicly disclose the dates and amounts of his sales under rules pertaining specifically to members of Congress. But as the SEC complaint says, it's possible Collins didn't sell because he literally couldn't. Unlike his son, he had not completed paperwork to transfer his stock to the US, where one could trade it on the over-the-counter market. His stock was stuck in Australia, where trading of Innate on the Australian Securities Exchange had been halted — because of the impending announcement of the clinical-trial failure. OpenSecrets estimated, based on disclosure forms, that Collins' net worth was nearly $70 million as of 2015. I realize $750,000 is kind of a lot of money even if you have $70 million, but is it really worth risking the destruction of your career and, you know, prison in order to help your friends save that kind of money? I wouldn't think so. But I do have a theory: One might develop an unhealthy attitude toward law-breaking and risk if one had previous success in enriching oneself through such an attitude. Last January, I wrote that members of Congress should not trade stocks. I meant that as a policy proposal — that members of Congress should be prohibited from trading stocks — but the Collins incident provides a reason to take it also as investing advice. As the liberal-leaning group Citizens for Responsibility and Ethics in Washington has pointed out, at least five sitting Republican members of the House bought stock in Innate in 2017. We don't know exactly why they bought shares in an obscure Australian pharmaceutical company, though former Rep. Tom Price, who went on to become Trump's secretary of health and human services, said he did so after learning about the company from Collins. Collins' links to Innate Immunotherapeutics had drawn negative attention before because of Collins' role overseeing drug companies as a member of the House Energy and Commerce Committee. But even favorable legislative action is not enough to make a pharmaceutical company valuable if its main drug doesn't work. So maybe we can now say that a rule forcing members of Congress not to engage in individual stock trading wouldn't just be in the public interest — it may even be for those members' own good, helping them stay out of junky pharmaceutical stocks their colleagues give them "hot tips" about, and helping them stay out of prison. And I can add another proposal: Members of Congress shouldn't be allowed to serve on the boards of publicly traded companies. The SEC is seeking to apply this rule to Collins specifically, on insider-trading grounds, but a blanket ban would prevent some conflicts of interest and also some embarrassing scandals like this one. 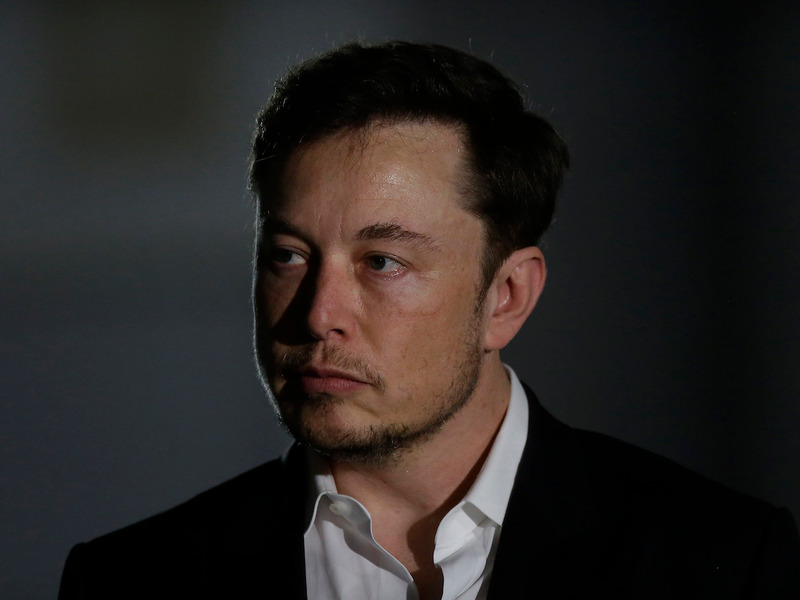 Bloomberg's Selina Wang and Giles Turner reported that Musk and Son failed to reach an agreement over the structure of the company, citing sources. Tesla was trading around $300 per share in April 2017 when the talks reportedly fell through. The talks are no longer underway, Bloomberg said. 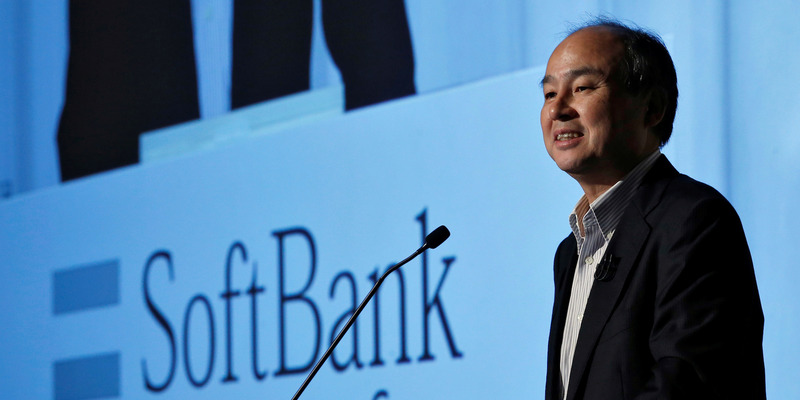 SoftBank and its $100 billion Vision Fund have made a slew of investments in tech firms around the world. So far, it has bought a 20% stake in GM's Cruise autonomous driving unit and made smaller investments in Uber, Nvidia, WeWork, and more. Musk tweeted on Tuesday that he would like to leave public markets at $420 per share — a 20% upside to their price that day. At that price, and given Musk's 20% stake in Tesla, roughly $60 billion would be needed to go private. Also on Tuesday, the Financial Times reported that Saudi Arabia's public investment fund — a major backer of SoftBank's fund — had invested roughly $2 billion in Tesla for a stake representing 3% to 5% of the company. 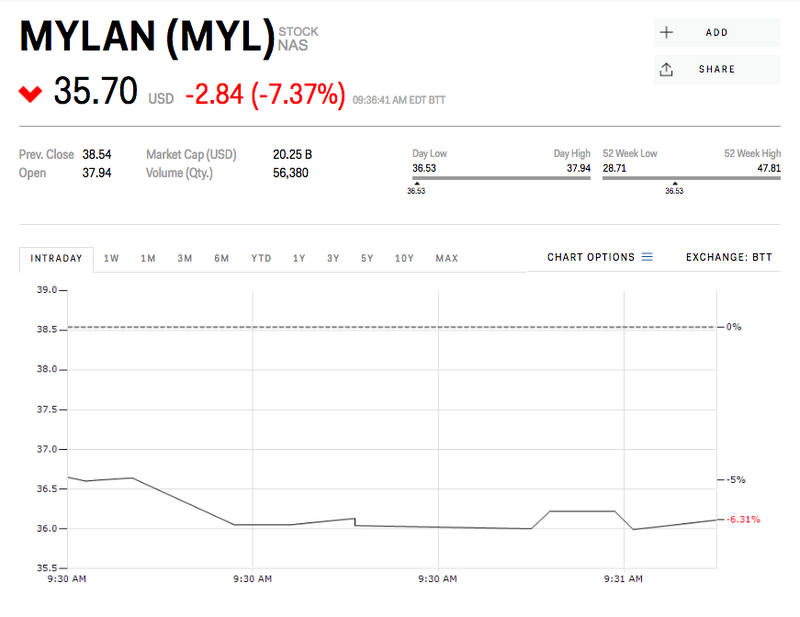 Shares of Tesla skyrocketed Tuesday when the plan was announced, but sank about 1.5% in trading Wednesday. More than a dozen former Argentine government officials and business executives have been arrested in a large scale corruption scandal. The investigation is throwing Argentina upside down just as it gears up for economic recovery. Watch the Argentine peso trade in real time here. Just as Argentina looked poised for a shot at economic recovery, a corruption scandal is roiling the embattled country. More than a dozen former government officials and business executives were arrested after police raids last week in a case involving illegal payments for favors including public-works contracts that took place over a decade under President Cristina Fernandez de Kirchner. The century bond, which marks debts due in 2117, fell to a record low Wednesday. Its yields, which move opposite of prices, rose to as high as 9.37%. They have jumped by about 38 basis points since the end of July, when the corruption allegations came to light. The Argentine peso also fell to a two-week low. It was trading down as much as 1% to 27.6710 against the dollar around 2 p.m. ET. Argentina's central bank, which has been struggling to effectively combat 30% inflation, had a day earlier held its key interest rate unchanged at 40%. Last Wednesday, Buenos Aires-based newspaper La Nacion published the notebooks of a former driver in the Fernandez administration that detailed how he transported roughly $160 million in bribe payments from construction companies to government officials from 2005 until 2015. 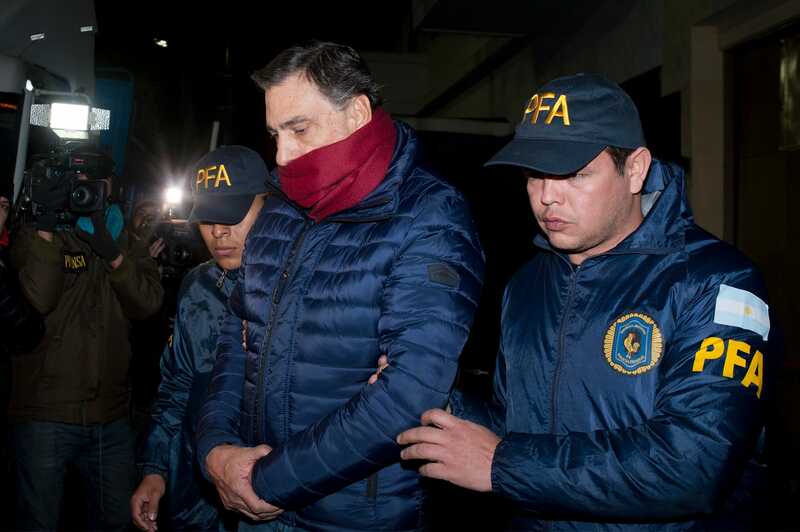 Fernandez, who was president during much of that period, has been indicted in the case but enjoys immunity from prosecution as an Argentine senator. Prosecutors on Tuesday questioned President Mauricio Macri's cousin, who is a construction executive. Argentina scored the largest bailout in IMF history earlier this year after its currency hit an all-time low. The $50 billion loan, which is part of a three-year standby program, was extended in attempt to rein in soaring twin deficits in the country and to stabilize the peso. Moody's rating agency called the scandal "credit negative for Argentine corporations." Snap reported its first-ever decline in daily active users on Tuesday. Shares initially popped 10% after the company said it lost less money than Wall Street expected, but sank when markets opened Wednesday. 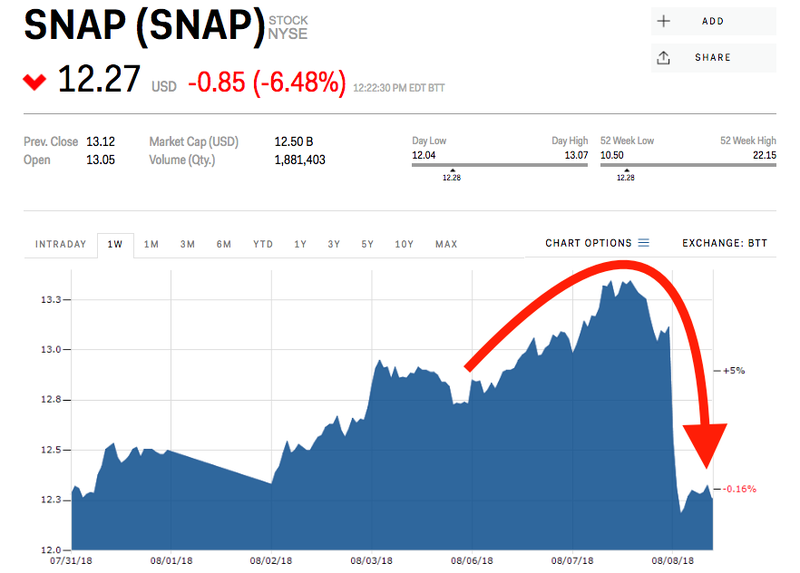 Shares of Snap sank more than 6% Wednesday, falling to their lowest price since June, after the company reported active user numbers that disappointed investors. 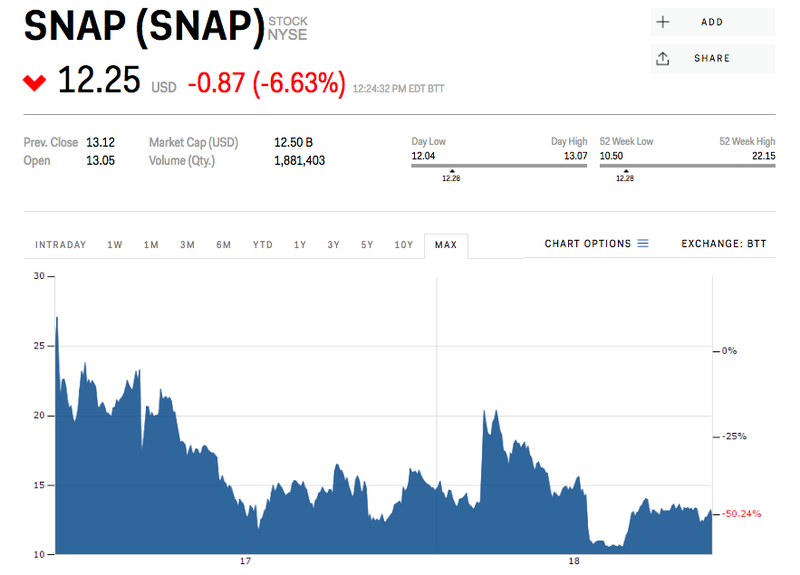 For the second quarter, Snap said its total losses per share were smaller than Wall Street had feared and that revenue was more than analysts had expected. However, the company also saw its first-ever decline in daily active users. Shares initially popped as much as 11% following the earnings report — which coincided with news that Saudi Arabia's Prince Alwaleed had invested $250 million for a 2.3% stake in the company — before sinking into the red early Wednesday as traders digested what the falling active users metric might mean for Snapchat's future. Also weighing on the slumping share price Wednesday was the leak of some of Snapchat's source code on GitHub, a code-hosting side recently acquired by Microsoft. The forum quickly complied with a DMCA takedown request, but not before the snippet could be downloaded and shared widely. "While our monthly active users continue to grow this quarter, we saw 2% decline in our daily active users," CEO Evan Spiegel said on a conference call with analysts. He added: "This was primarily driven by a slightly lower frequency of use among our user base due to the disruption caused by our redesign. It has been approximately six months since we broadly rolled out the redesign of our application and we have been working hard to iterate and improve Snapchat based on the feedback from our community. We feel that we have now addressed the biggest frustrations we’ve heard and are eager to make more progress on the tremendous opportunity we now have to show more of the right content to the right people." Snap is now trading more than 50% off its first trading price when it went public in March 2017, and Wall Street thinks it will only sink more. 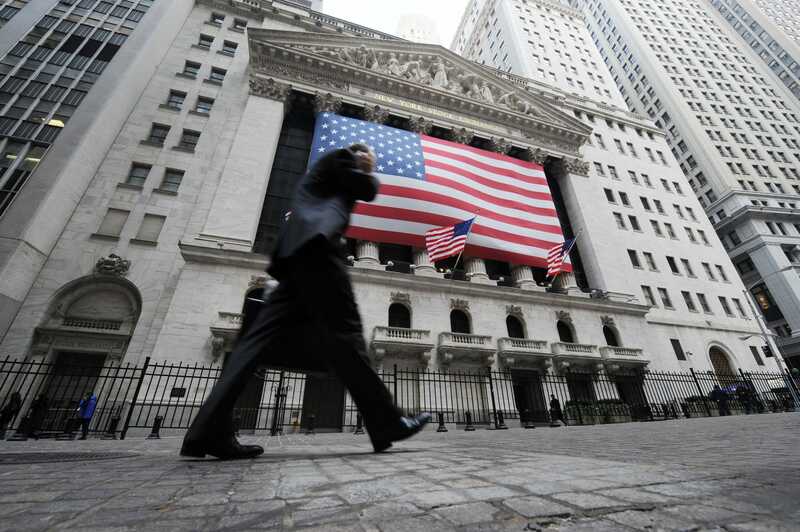 Analysts polled by Bloomberg give the stock an average price target of $11.76. Musk said in his statement that a shareholder vote must be held before a final decision is made. But he also tweeted that investor support was confirmed, only that it was contingent on a shareholder vote. Tesla CEO Elon Musk has put himself in a risky position, Scott Galloway, an NYU marketing professor, said via Twitter. Galloway referred to Musk as the "Thomas Edison of our age," but said Musk could find himself in legal trouble if he hasn't secured the funding necessary to take the company private. "My mind is blow [sic] over Elon tweet today. I think the Thomas Edison of our age has come off rails. 'Funding Secured' means he has the money lined up or he's guilty of market manipulation. 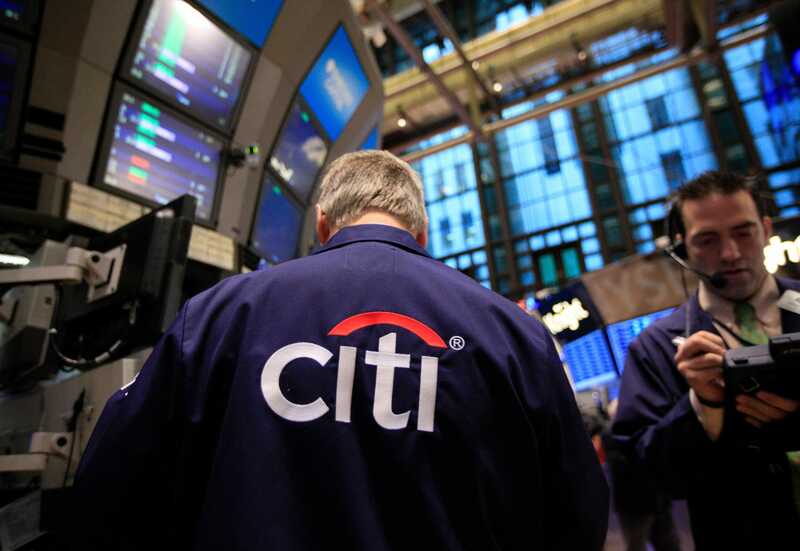 His animus toward short-sellers have gotten the better of him," he said. On Tuesday, Musk signaled his preference via Twitter, where he said he had secured financing for such a move. He first signaled his preference via Twitter, where he said he had secured financing for such a move. Tesla's share price surged after the tweet, rising by as much as 12% before trading closed. The company released an email Musk sent to employees in which he said taking the company private is "the best path forward." He said the pressures of being a public company create distractions and promote short-term thinking that may not produce the best decisions in the long-term, but added that a final decision could not be made until a shareholder vote is held. 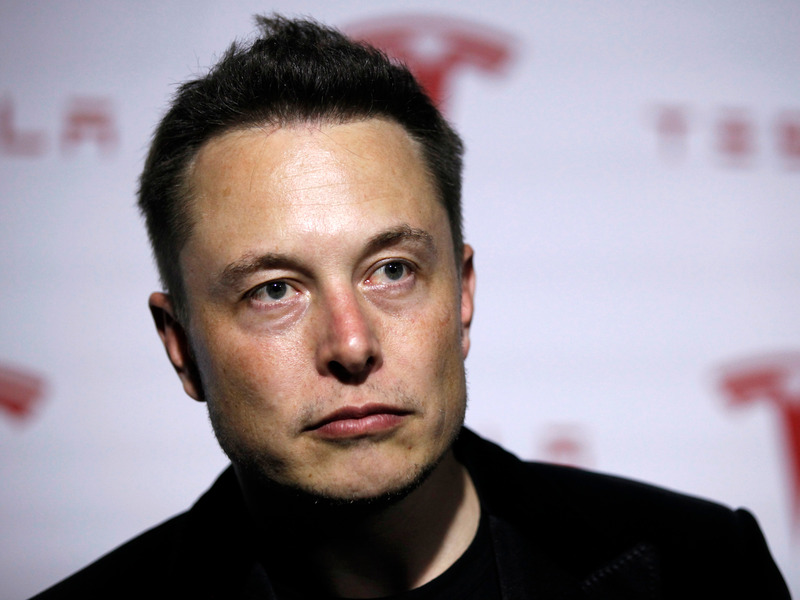 Galloway later questioned the Securities and Exchange Commission's response to Musk, suggesting he would not be subject to the same level of regulatory attention as other CEOs due to his reputation as an innovator. "We no longer worship at alter of character, but innovators," he said. "SEC/DOJ, please join Marines, CIA, and National Parks Service and do ur job." Sponsored: If you enjoyed reading this story so far, why don’t you join Business Insider PRIME to read the full story? 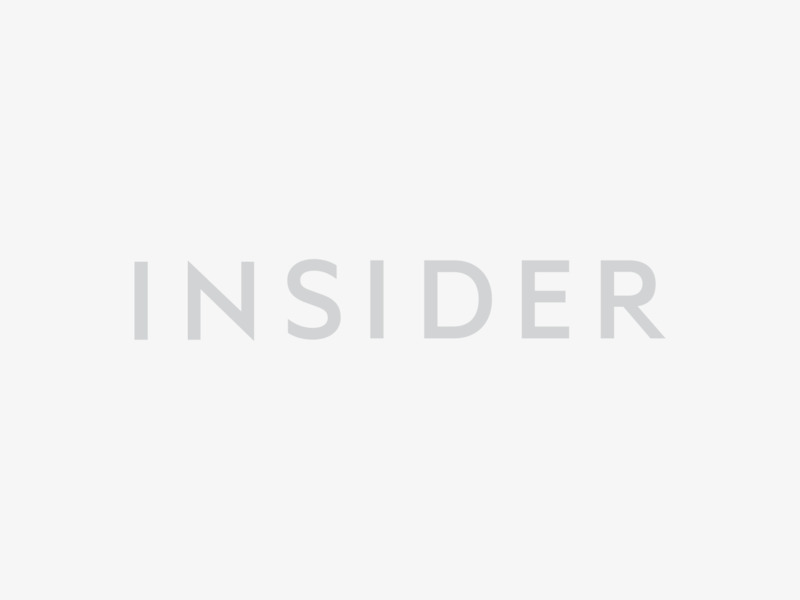 Business Insider provides visitors from MSN with a special offer. Simply click here to claim your deal and get access to all exclusive Business Insider PRIME benefits. 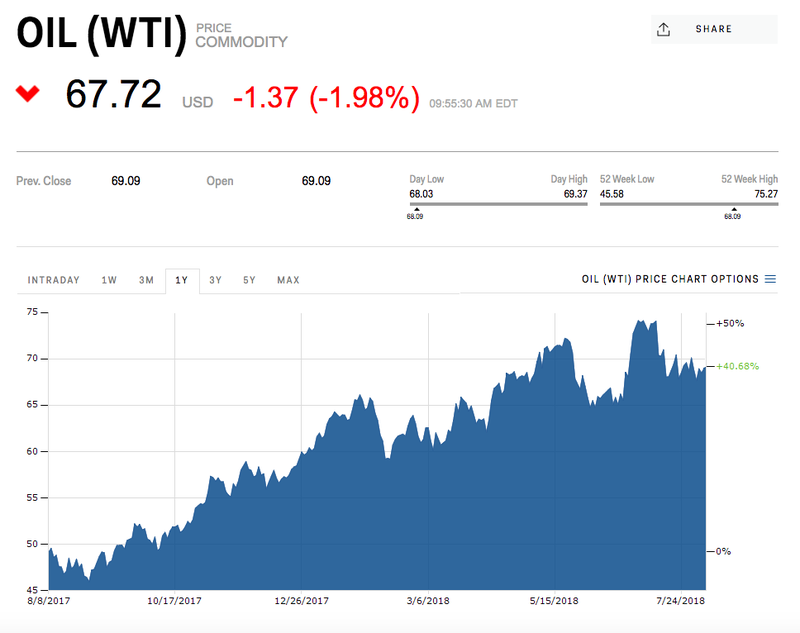 West Texas Intermediate, the US benchmark, shed 2% to $67.70 per barrel after the Ministry of Commerce released a new list of American goods that will be subject to tariffs. Brent was down 0.6% to just above $74 a barrel. 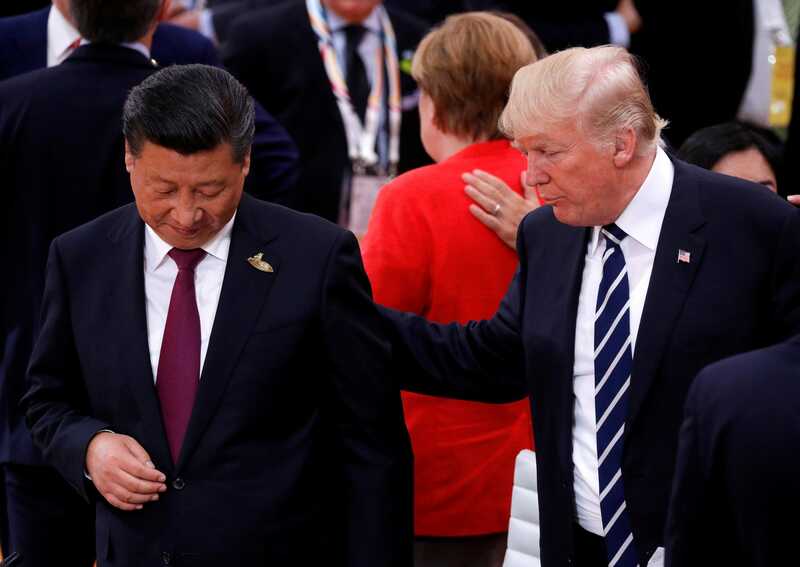 China, the second-largest destination for American crude, also said it would levy tariffs on liquified natural gas, diesel, coal, chemicals, cars, steel products and medical equipment. The announcement came after the Trump administration followed through with a 25% tariff on an additional $16 billion of Chinese goods Tuesday evening. The latest round of American and Chinese tariffs, which bring the running total of targeted goods to $50 billion on each side, are set to take effect August 23. 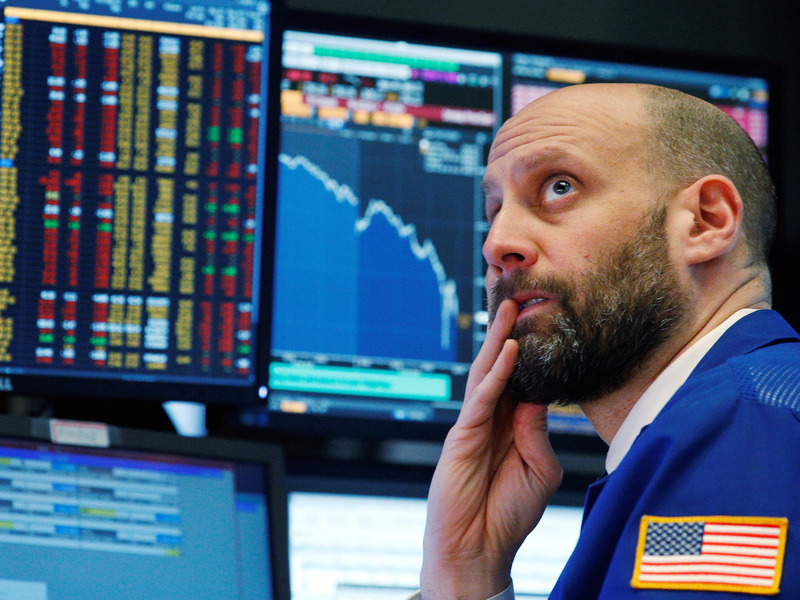 Jameel Ahmad, global head of currency strategy and market research at FXTM, said the escalation "is just reminding investors that their trade war concerns are going nowhere anytime soon." President Donald Trump has threatened to impose tariffs on nearly all Chinese imports to the US. Beijing can't match that dollar-for-dollar because it imports significantly fewer American products than the US does from China. But officials have threatened to retaliate in other ways, like increasing the rate of tariffs on additional American imports. Oil prices had been edging higher prior to the announcement. 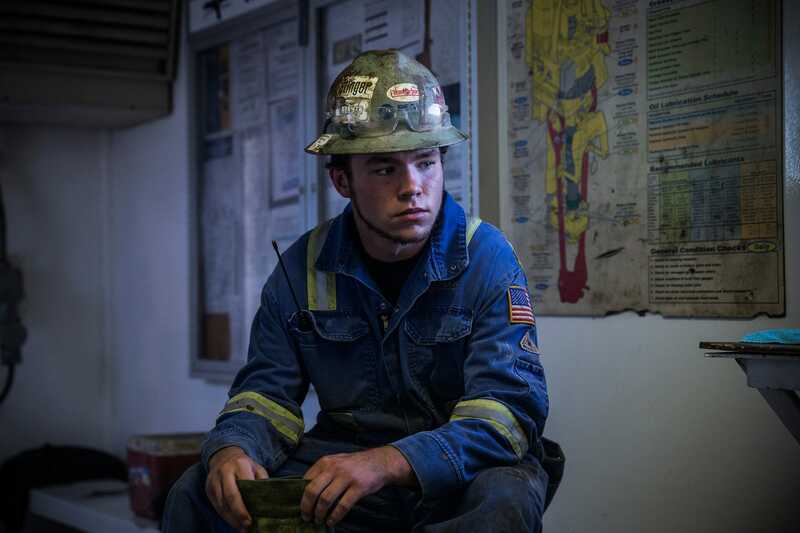 A report by the Energy Information Administration showed a 1.4 million barrel drawdown in US inventories last week. Amy Yu, who previously worked in sales for synthetic products at JPMorgan, joined BitMEX to head up institutional sales. Meanwhile, Lauren Abendschein, formerly a director at Credit Suisse, has joined as a manager of institutional sales. Both BitMEX and Coinbase, two of the largest market places for crypto, have snagged veteran Wall Streeters as the firms vie for more business from large traditional financial services companies, people familiar with the matter tell Business Insider. 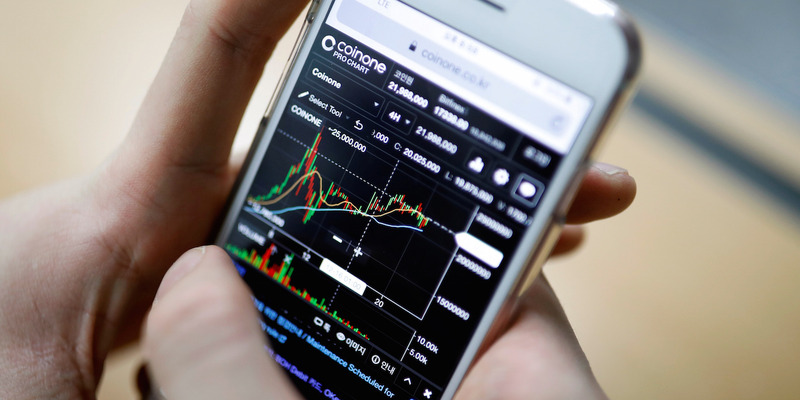 Hong Kong-based BitMEX is a platform that offers peer-to-peer trading of leveraged bitcoin contracts, while Coinbase is a US-based cryptocurrency exchange operator best known for its brokerage unit. Both have been building-out their services to attract large investors. As for BitMEX, the firm has brought on Amy Yu as head of institutional sales, according to people familiar with the situation. She joins the firm from JPMorgan where she worked in sales for synthetic products. Meanwhile, Lauren Abendschein, formerly a director at Credit Suisse, has joined Coinbase as a manager of institutional sales, according to people familiar with the hire. She is joining the team in New York, which has been building out its white-glove broker business aimed at getting large firms onto Coinbase's venue. Notably, the firm recently onboarded a $20 billion hedge fund onto its platform, as Business Insider previously reported. Offering so-called white-glove services to large institutions — from face-to-face meetings to block trades — is one way exchanges are trying to lure larger investors to the nascent market for digital currencies, market experts says. Goldman Sachs is exploring offering custody services for crypto funds, according to people familiar with the matter cited by Bloomberg. This would result in Goldman holding cryptos on behalf of the funds, providing secure storage for clients. There is no launch date for the new offering yet, and the announcement comes after Goldman said in May that it would launch crypto-related trading options, including derivatives, to allow customers to buy contracts related to price fluctuations in Bitcoin. Offering custody for cryptos seems to be a new movement on Wall Street — Bank of New York Mellon, JPMorgan Chase, and Northern Trust are also looking into offering such services, says Bloomberg. Custody services are much-needed to help drive institutional investment in cryptos. Securely storing digital assets is a major concern for firms, and has perhaps been a barrier to entry — custody services are commonly available for other financial instruments, yet have been lacking in the crypto sector. 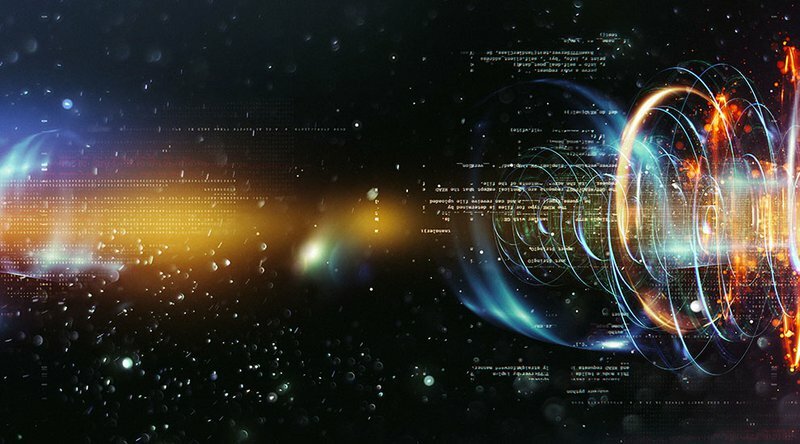 By offering such services, Goldman and others could help make investing in cryptos more accessible for financial institutions (FIs) wanting to engage responsibly with the nascent asset class. Additionally, by getting into the business of storing cryptos, Goldman could position itself well to drive uptake of any future digital asset services it deploys. Coinbase rolled outcrypto custody services earlier this year, but Goldman moving into the space may be a gamechanger. Although Coinbase's services are likely helping to drive adoption of cryptos among FIs, these investors are probably far more likely to trust a Wall Street giant like Goldman. Moreover, if this move is simply a preview of what's to come from Goldman and other incumbents — we reported in April that around one in five financial firms surveyed by Thomson Reuters were considering launching crypto trading services in the next year — we could be on the verge of a major shift toward the mainstream for the industry. Investors betting against Tesla have lost $3 billion in August alone. The "short burn of the century" that Tesla CEO Elon Musk promised back in May may have finally happened. 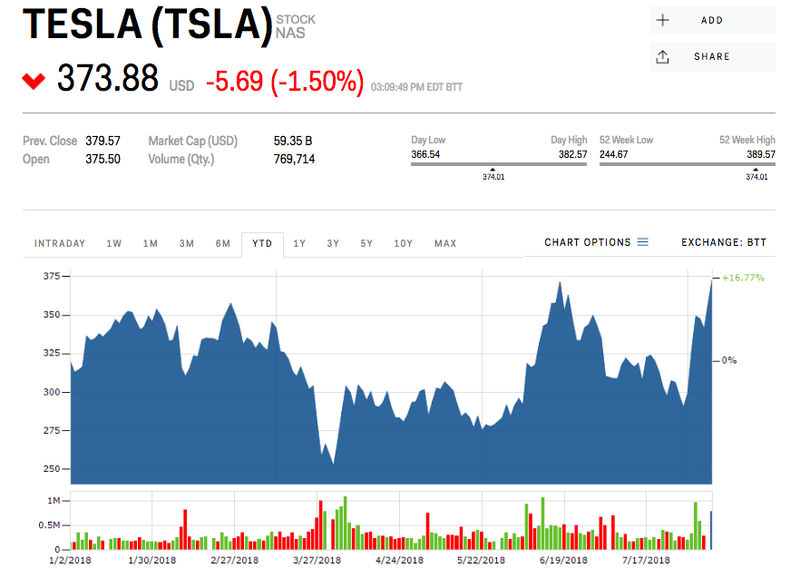 Tesla's 27% surge this month, fueled by Musk's cryptic tweet Tuesday about taking the company private at $420 a share, has cost short sellers — the investors betting against Tesla's stock — at least $3 billion, according to data from the financial-analytics firm S3 Partners. Still, it remains the most shorted equity in the US, easily outpacing other heavily bet-against equities like Apple, Amazon, and Alphabet by at least 50%. And as the stock price has climbed this year, so too have the bets against it. 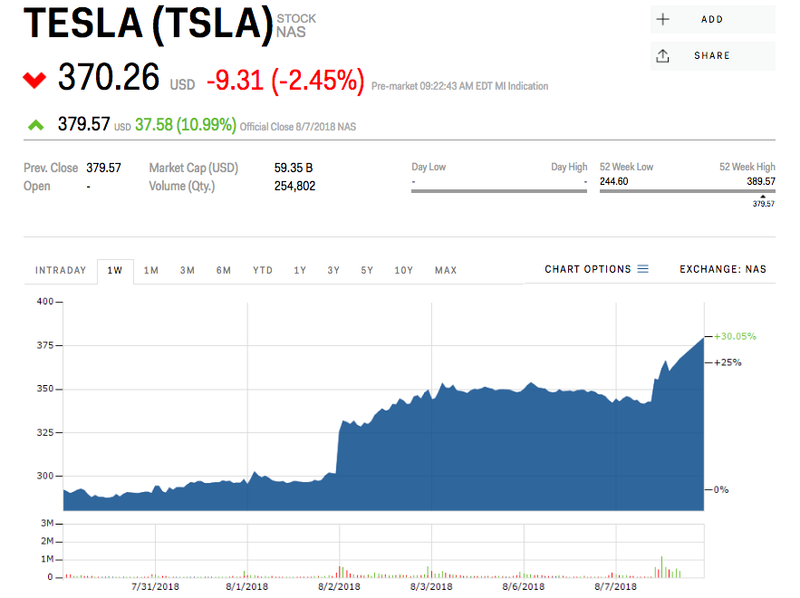 "If the market believes that Elon Musk's financing is in place and the chances of a buyout is high, we should see short covering in size, driving Tesla's stock price higher in the short term as short sellers attempt to close out their positions at lower than the $420 takeout price," said Ihor Dusaniwsky, a managing director at S3 Partners. 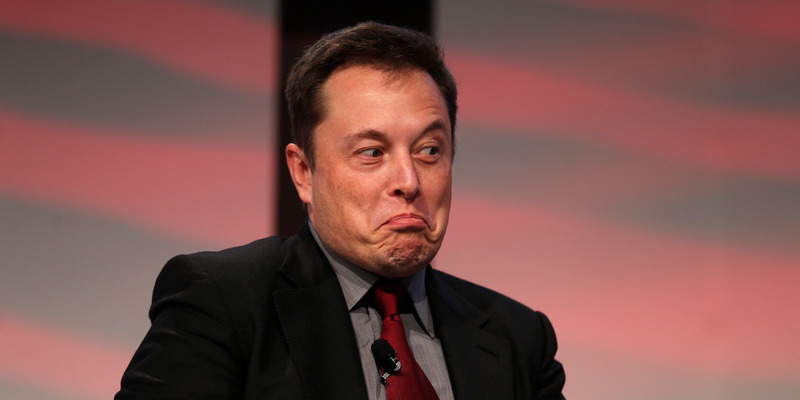 Musk hasn't been quiet about his disdain for short sellers. "These guys want us to die so bad they can taste it," he said last year. And on a conference call in May, he interrupted questions by two analysts on an earnings conference call in May, complaining they represented a short-seller thesis. Shares of Tesla are up 18% this year as a solid earnings report, reports of a $2 billion investment by Saudi Arabia's public investment fund, and Tuesday's proposed buyout sent the stock to near-record highs. With the stock market within shouting distance of a new all-time high, traders are readying their champagne bottles. Just don't tell them about the eye-popping statistic just published by reputed research outfit Leuthold Group, lest you spoil their fun. Leuthold has taken a fairly traditional valuation measure — the price-to-sales ratio (P/S) — and added a twist. Rather than take the market cap-weighted P/S for the benchmark S&P 500, the firm has calculated the median P/S for every company in the index. And as you can see from the red line below, the historical chart is jarring. Going by the median P/S measure, the S&P 500 is actually twice as expensive as it was at the peak of the tech bubble. Leuthold has already sounded the alarm in the past about the blue line, which is the market cap-weighted version of the P/S metric. The firm previously considered it the "scariest chart in our database" — but it appears to be a distant number two now. "The addition transforms an already alarming chart into one that’s almost unfit for a family-friendly publication," Doug Ramsey, Leuthold's chief investment officer, wrote in a client note. 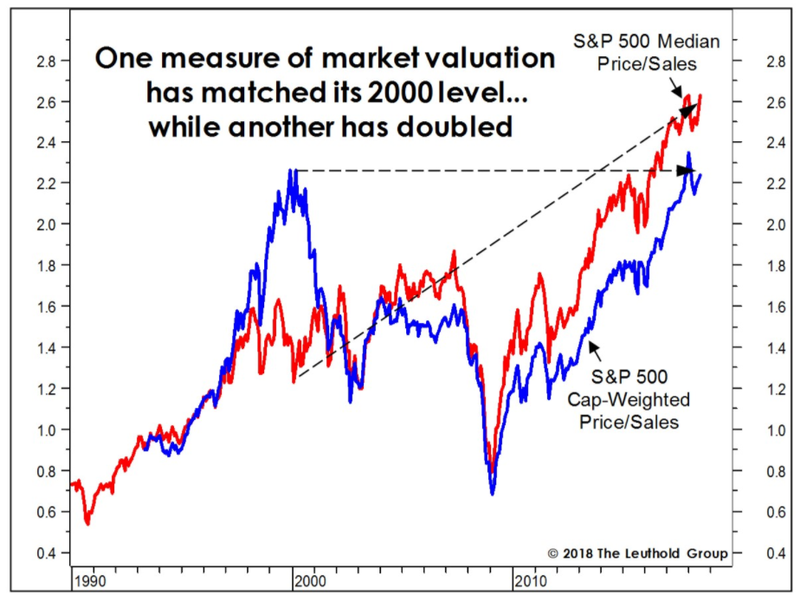 "The nature of this market’s overvaluation is very different than in 2000." It's different in the sense that the overvaluation is more widespread — and the implications of that fact are potentially devastating. When the stock market does face its next armaggedon stage, there will be nowhere to hide. When the broader market got crushed in the dotcom era after the tech bubble burst, that was largely because of the massive concentration of positions in the sector. Traders could've theoretically protected themselves by hiding in more fairly valued industries. Investors today have no such luxury. "Overvaluation in 2000 was highly concentrated," said Ramsey. "Today it is pervasive." The lack of comparatively cheap opportunities in the market right now is a particularly troublesome development for so-called value investors, who are left searching for bargains that simply don't exist. "This breadth of overvaluation certainly helps explain today’s level of despondence among value managers," said Ramsey. "The long period of penance has not rewarded them with any truly cheap pockets of the stock market — like it did in 1999 and 2000. They still stand to lose serious money in the next bear market, but their results should be much better than the throngs who’ve decided to put their equity investing on auto-pilot." The pound is below $1.29 for the first time since 2017 and falling against the euro and yen. Sterling's price is suffering from ongoing concerns about a potential no deal Brexit. Analysts say the currency's poor performance is likely to continue in the short-term. 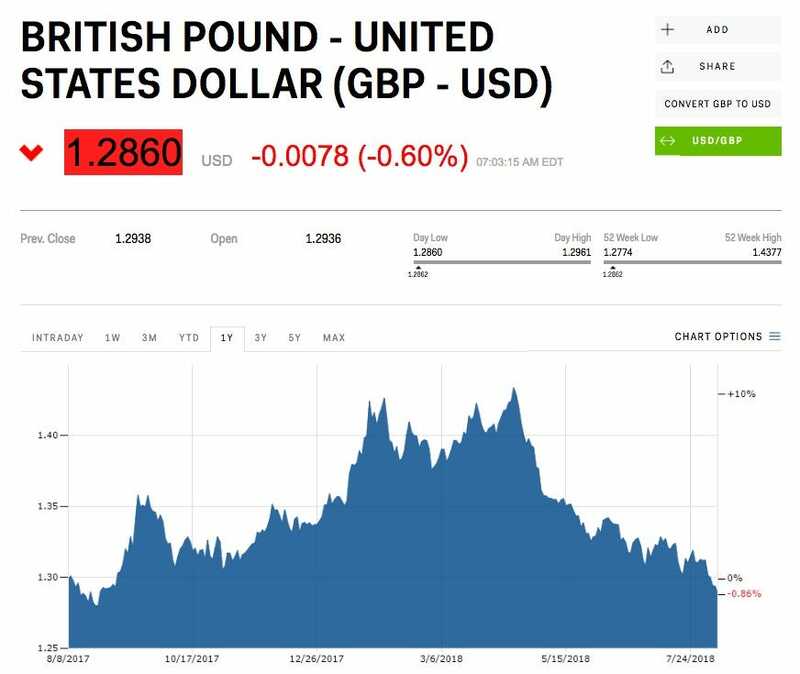 LONDON — The pound fell below $1.29 for the first time since September 2017 on Wednesday as fears about a possible no-deal Brexit continued. Sterling is down 0.6% against the dollar to $1.2860 at 12.00 p.m. BST (7.00 a.m. ET). It marks an 11-month low for the pound against the greenback. The pound is also down 0.58% against the euro and down 0.86% against the Japanese yen. Lukman Otunuga, a research analyst at FXTM, said in an email on Wednesday lunchtime in London: "Concerns of a potential hard Brexit scenario have haunted investor attraction towards the Pound and have left the currency vulnerable to downside shocks." "The currency is likely to remain depressed ahead of Friday’s second quarter UK GDP report, which could offer fresh insight into the health of Britain’s economy," he said. 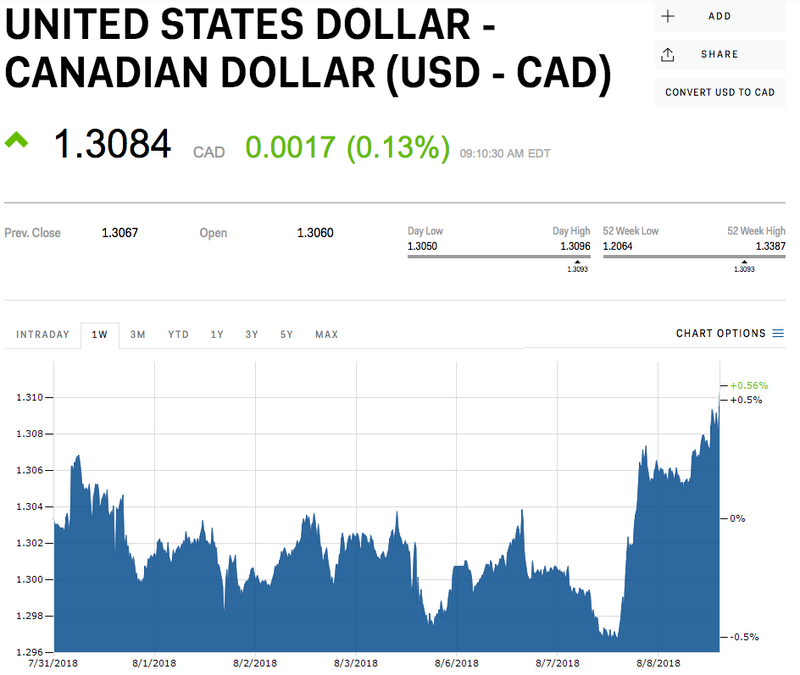 "While a solid GDP print could throw the bruised Pound a short-term lifeline, any meaningful gains may be obstructed by Brexit-related uncertainty and an appreciating Dollar." Bitcoin's price has surrendered more than 70 percent of the rally seen in July, putting the bears in a more commanding position. 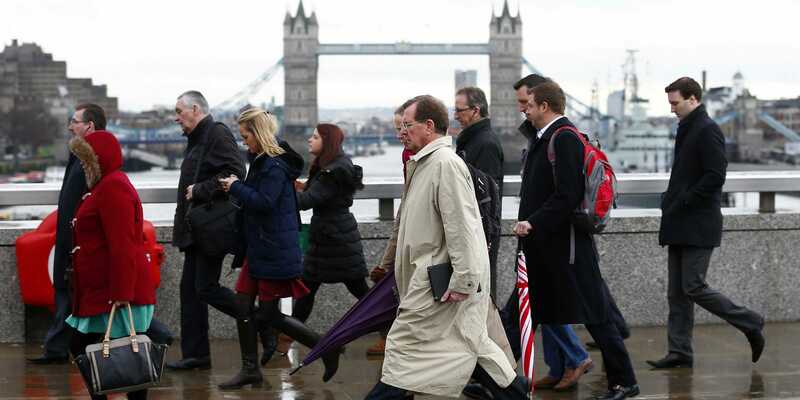 European bankers are leaving London in an "exodus", a senior Bank of England official claims. Iain McCafferty said the number of Europeans moving to the city has "fallen quite sharply" since the 2016 referendum. McCafferty told Britain’s LBC in an interview on Tuesday that the number of German, French, and other European bankers coming to work in the City has "fallen quite sharply" since the 2016 referendum. "The number of foreign bankers coming to London has fallen very sharply over the course of the last couple of years or so," he said. "As they return to their native countries, they are not being replaced in anything like the same numbers." McCafferty, who is a member of the bank's monetary policy committee, added that Europeans leaving London are pushing down property and rent prices as they relocate from the capital back to their home countries, as demand for housing drops. Analysts and economists have warned since the referendum that Brexit was likely to lead to a reduction in the number of banking jobs in the UK. A recent report by the City of London estimated that 5,000 jobs will be lost due to Britain's exit from the EU. LBC presenter Iain Dale questioned whether McCaffery was playing into "project fear" by making the comments. Brexiteers have criticised the Bank of England for what they have dubbed "project fear", claiming the central bank has been overly negative about the economic effects of Brexit. Tory MP Jacob Rees Mogg recently called BoE Governor Mark Carney the "high priest of project fear," after Carney warned that a no deal Brexit was highly undesirable. Dale said: "You've used the word exodus, which to my mind means a massive outflow of people… Isn't that playing into the narrative that Brexiteers have of the Bank of England that all you're interested in doing is playing project fear?" McCaffery replied: "I don't consider an exodus as a massive outflow of people; I consider it an outflow and that's what we have seen." "In the short terms, technical analysis is still on the bears’ side. The benchmark currency [bitcoin] doesn’t have important levels of consolidation near current trading marks. It means that after a short pause the bitcoin could slide down to the nearest consolidation level close to $6,200 mark, and even lower to $5,800." A report released on Wednesday found that ICO tokens — digital assets issued by startups to raise cash for projects — had an average return of -55% in the second quarter, pointing to extended weakness across the sector. But the proportion of funding campaigns that failed also rose to 55%, leading analysts to say the quality of projects in the market has "significantly worsened." LONDON — Money continues to flood into the booming market for digital tokens issued by startups despite the projects seeking funding getting worse and investment returns suffering, according to a new report. 55% of "initial coin offerings" (ICOs) failed to complete in the second quarter, according to a report from agency ICORating. That was 5% more than failed in the first quarter. ICOs are where companies and projects issue digital tokens structured like bitcoin or ethereum. These tokens are sold in return for cash used to fund the development of their businesses. ICOs exploded from almost nothing to be a multi-billion dollar market in 2017, surging in popularity alongside the rise in the price of bitcoin. The increasing failure rate came despite a rise in the amount of money being invested into ICO tokens. 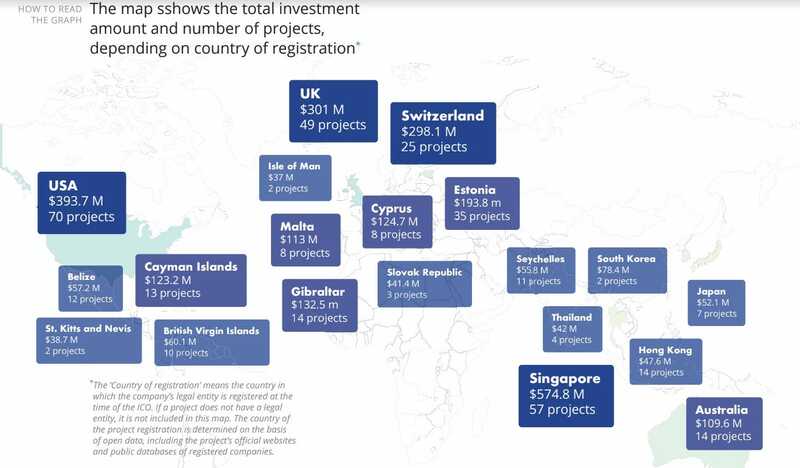 827 projects raised $8.3 billion through initial coin offerings in the second quarter of the year, the report states, compared to $3.3 billion in the first quarter. The increase in investment into ICO tokens comes despite poor performance in the second quarter. ICORating found the median return for tokens in the second quarter was -55.5%, compared to +49.3% in the first quarter. 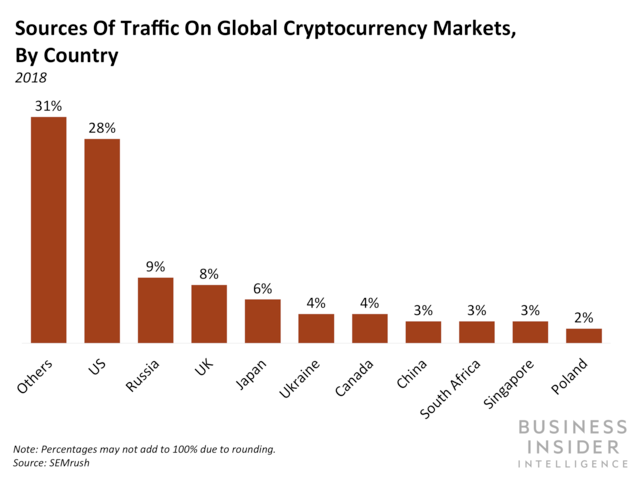 Bitcoin, the bellwether for the crypto and digital asset market, has declined over 50% since the start of the year. Separately on Wednesday, blockchain-focused VC firm Outlier Ventures released a report saying that venture capitalists invested $1.8 billion into blockchain-focused businesses in the second quarter of the year. Most ICO projects use blockchain technology in one way or another, although the majority of VCs still invest in equity rather than buying tokens issued during an ICO. Outlier Ventures' review of activity in the blockchain space found an increase in M&A activity among startups. Tron acquired torrenting service BitTorrent for $140 million in June, for example. Tron aims to decentralize the entertainment industry and raised $70 million through an ICO last December. Jamie Burke, CEO at Outlier Ventures, said in a release: "We are seeing extremely well-capitalized protocols launch venture funds and accelerators as well as acquire equity-backed companies and teams to scale development or buy network-market-fit." Investors are pulling money from actively managed US stock funds this year at the fastest year-to-date rate on record, according to Moody's. The credit-ratings agency said this has made mutual funds vulnerable to the next market downturn. "The lack of organic AUM growth at a time when asset markets are at historical highs is a cause for concern," Moody's said. While the active versus passive debate has been extensively discussed, the vulnerability of stock pickers has not been as obvious, according to Moody's. That's because the shift away from active management has coincided with a nine-year bull market, the second-longest in history. "As equity market values have risen over the past decade, asset managers have experienced stable cash flow generation," Stephen Tu, a senior credit officer at Moody's, said in a report on Monday. "However the lack of organic AUM growth at a time when asset markets are at historical highs is a cause for concern." With the growth of cheaper and commission-free trading apps, the pricing power of mutual funds has eroded, and their business model is under pressure. The average active equity manager's net expense ratio, a gauge of their fees, has fallen below 60 basis points, according to Moody's. "Because investors’ shift toward passive products and the continued net expense ratio deterioration of high-fee products are trends that appear to be accelerating, asset managers are more susceptible to equity market volatility and elevated valuations," Tu said. When the next inevitable bout of volatility slams the stock market, more passive funds are likely to retain their clients compared to active funds, Tu said. That's because there's added pressure on active fund managers to outperform the market. So far this year, large-cap mutual fund managers are delivering on that mandate with the help of growth stocks including Amazon and Apple, according to Goldman Sachs. But even this trend poses a risk because a sell-off could force many major investors out of the exit doors at the same time. "The crowding risks in FANG stocks and the tech sector still remain elevated," Bank of America Merrill Lynch said in a note on Tuesday. If stocks sell off and investors feel that mutual funds are no longer beating the market, the floodgates of client redemptions could intensify, Tu said. Infamous developer Amir Taaki believes bitcoin's potential is exhausted, but he's not giving up the fight to change the world with cryptocurrency. 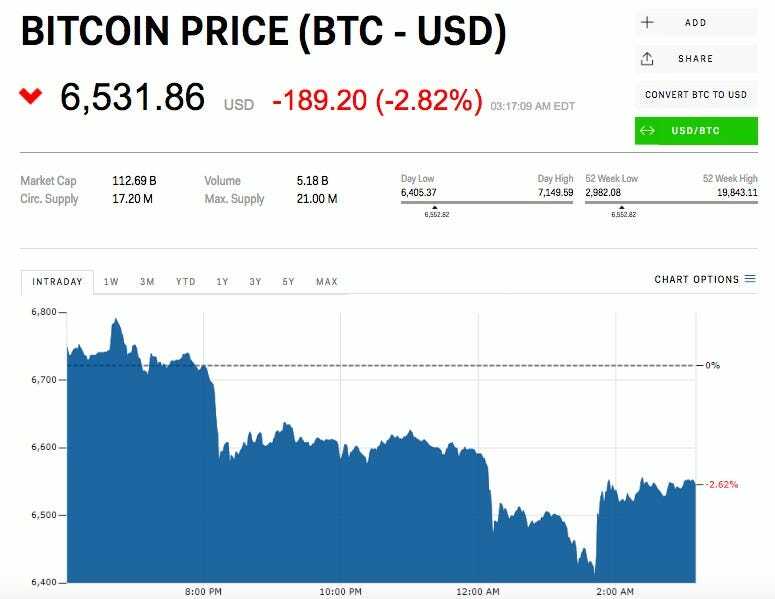 The price of XRP and Litecoin, two of the world's largest cryptocurrencies, fell to new 2018 lows on Wednesday. Criminals were behind 90 percent of all cryptocurrency transactions five years ago – not anymore according to a DEA agent.